Hello and Welcome to Professional CV Writing Services for Students and Graduates. Established as specialist in 1996 we offer a wide range of skills and expertise in CV writing with guaranteed success. Our online CV writing services help students and graduates not only in the locality, where we can offer a personal face to face service but also, thanks to the advances of new technology, over the internet using Skype, the telephone and electronic email communications - giving you the advantage of using our services wherever in the United Kingdom or in the world at large you are based. In addition to offering Professional CV Writing for Students at University and qualified or recently qualified graduates, we offer online assistance with online questionnaires, cover letter writing and help and advise on interview technique and the job application follow up process. Call us today on 0800 170 7740 and we will help you focus your CV for your new position, by promoting your skills and experience so that you are seen, not only as the ideal fit, but as the candidate of the recruiter’s dreams! Enthusiasm and good time-keeping are all important when searching or applying for a new position. 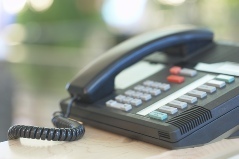 If you are late in returning a phone call or are seen scruffing around by an employer a good opportunity may be lost before you have even begun. So, if you are handing in a CV by hand do remember and dress for the occasion. Many employers see a good image as being all important - after all they are often looking for someone who can reflect their quality brand! Remember too that in some positions you may be up against hundreds or even thousands of other applicants and, whether you have the highest marks in the class at University or on your degree course, or the lowest, if your CV is professionally written you may each have an equal chance of winning through to interview.